Check out this new book by T.L. Williams, Secrets of the Spirit Tree. This is a wonderful new Jamaican story for adults and children alike! Here’s what one review says about it, “Great story, wonderful reading. Although it is a children’s book I found myself fascinated by the story, the characters and the setting. Needless to say my 9-year old daughter and 7-year old son had some ‘discussions’ over whom was to read the book on the Ipad next”. 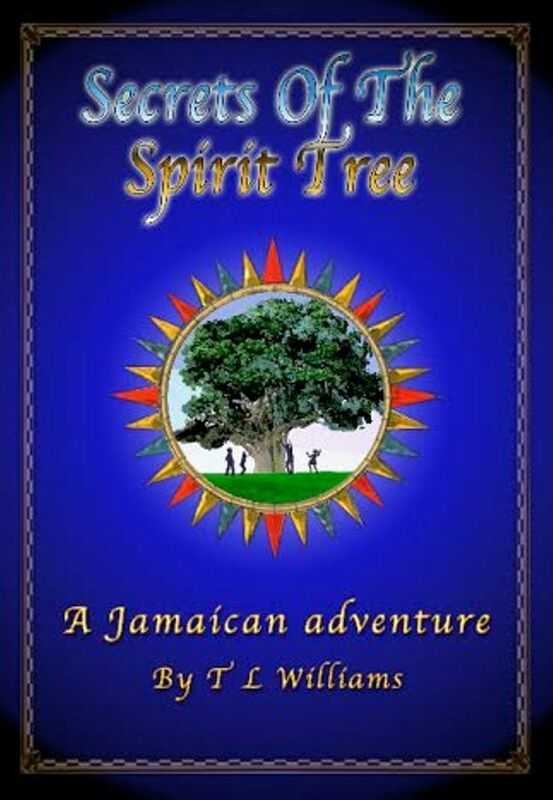 Two Jamaican children from Bluefields discover that the Silk Cotton or “Duppy Tree” has magical powers. In a series of mysterious events they meet a Spanish boy from the 16th Century and his Taino Indian friend. Together the four explore a lost civilization, stand together against bloodthirsty conquistadors and learn that friendship transcends time, space and culture. A funny, thoughtful and original story! T. L. Williams is a linguist, teacher and writer who lives in Jamaica with a close knit family. Having studied in Canada, the U.S. and Europe, Williams returned home to teach and write. The historic, seaside community of Bluefields, Jamaica is a second home to the family where Williams established an adult education programme for the Bluefields Peoples’ Community Association. Secrets of the Spirit Tree is the first publication of the Spirit Tree Trilogy. Look out for the second book in the series: The Return of the Son, to be published soon. Other books by the author include : Reforming the GSAT – exploring the Fun Factor in Education, published by the Jamaica Commission for UNESCO in 2012. Jimmy Fallon Covers Shaggy Tune, "It Wasn't Me"
Anyhow, I’m definitely glad I found it and I’ll be book-marking aand checking back frequently! Great delivery. Outstandinng arguments. Keepp սp the goߋd ѡork.